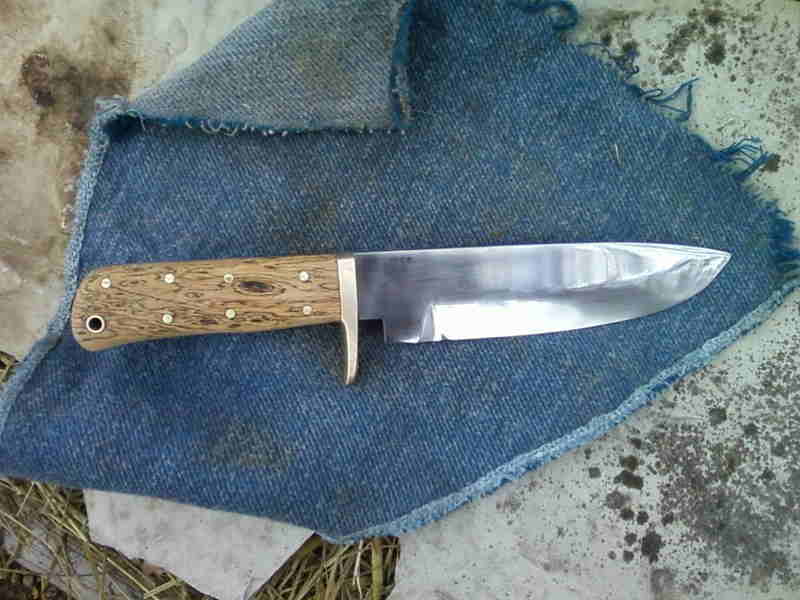 The Oxbow was the knife Tom Berenger used in the movie “Last of the Dogmen”, with Cheyenne Indians in the Montana Rockies. 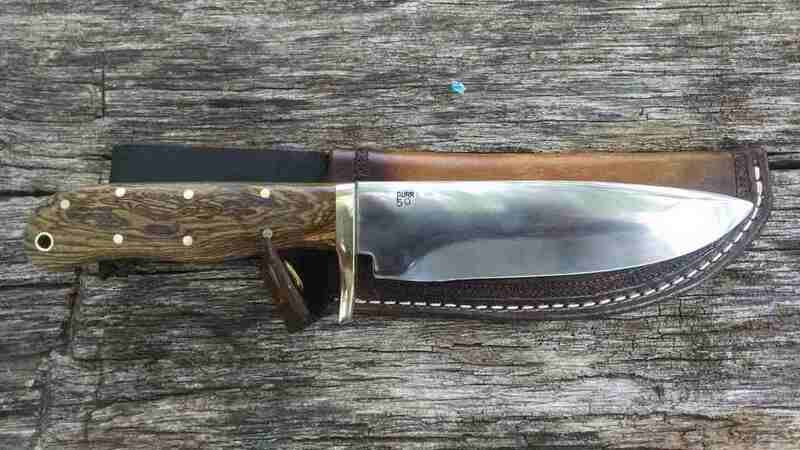 This replica is an extremely stout knife. 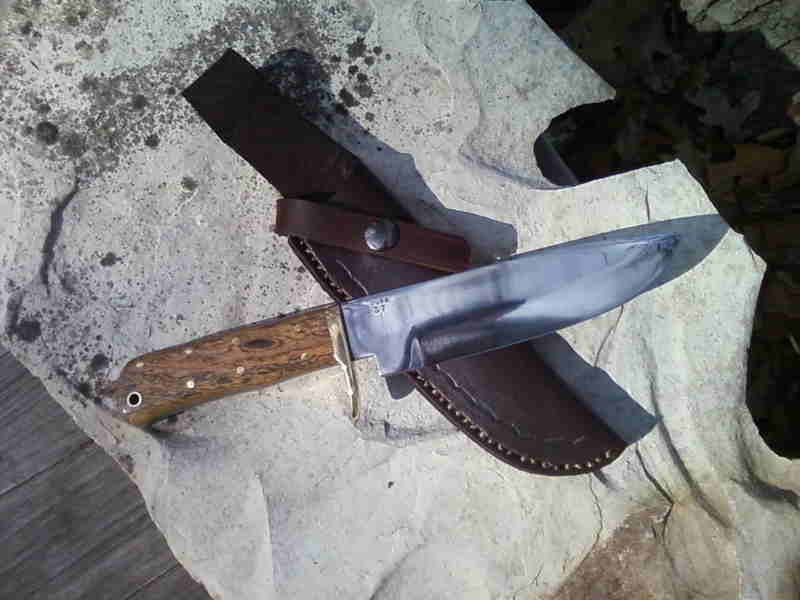 The overall length of the knife is 10″, with a gorgeous 4-1/2″ exhibition spalted burl bakota wood handle, and 5-1/2″ blade with thick brass guard. 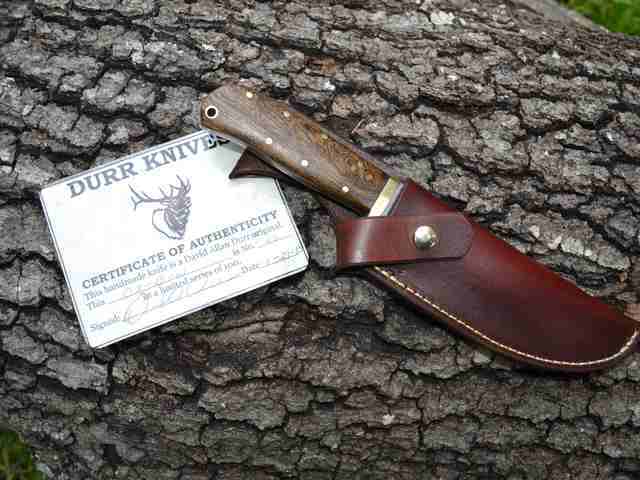 Comes with a tooled and hand-stitched leather sheath “D.A. 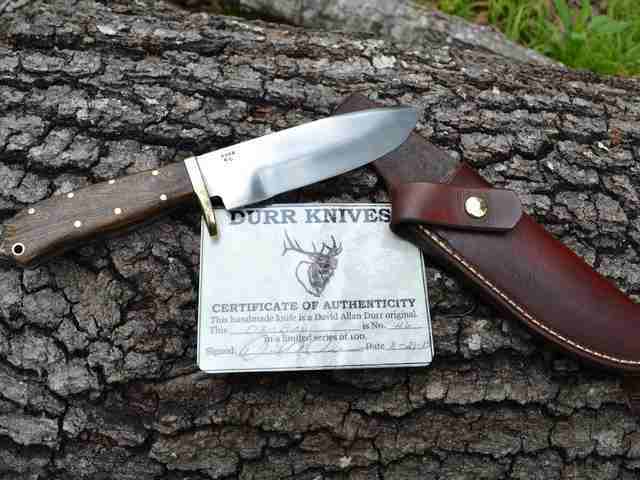 Durr Original” as seen in the movie. A picture doesn’t come close to doing this masterpiece justice! And you won’t find it anywhere else!